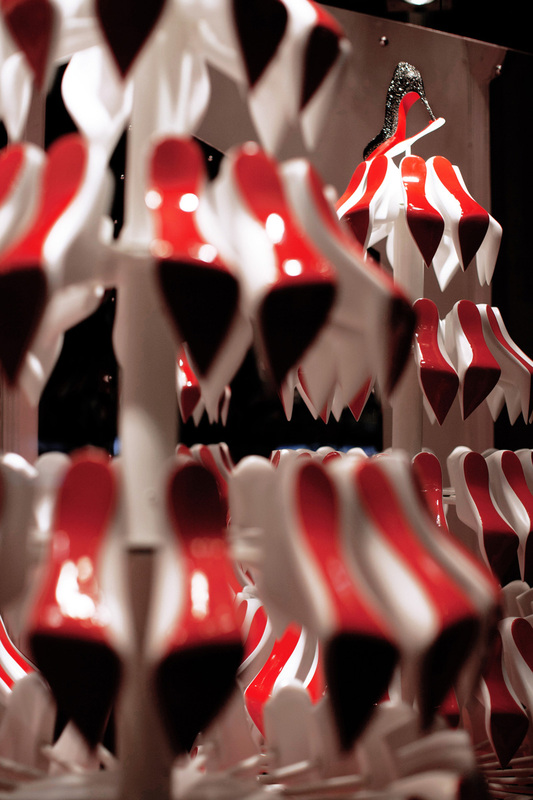 If It's Hip, It's Here (Archives): A Shoe Lovers' Holiday Fantasy. 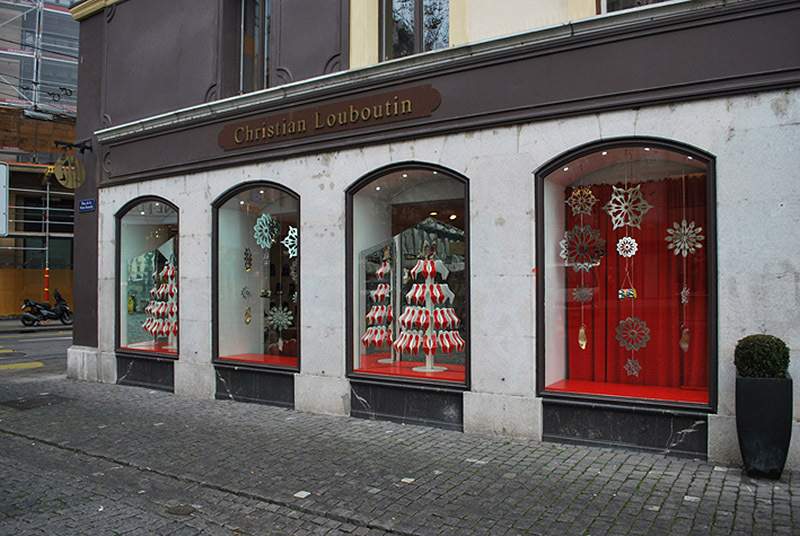 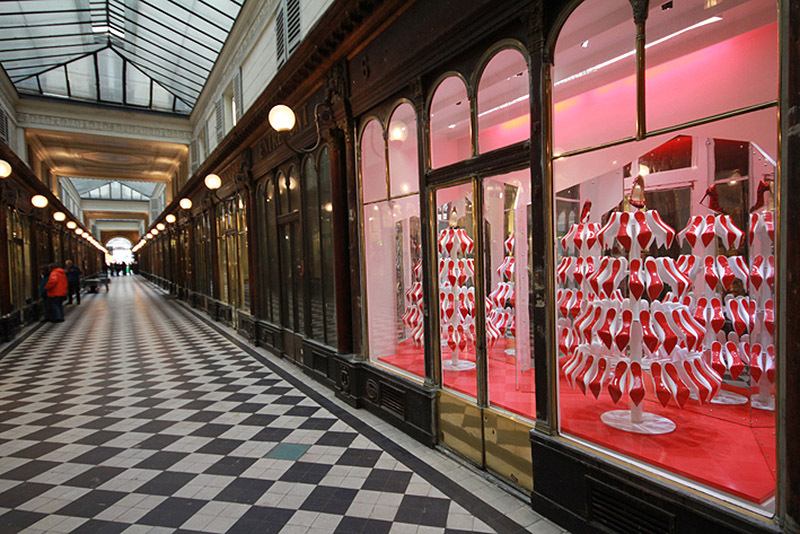 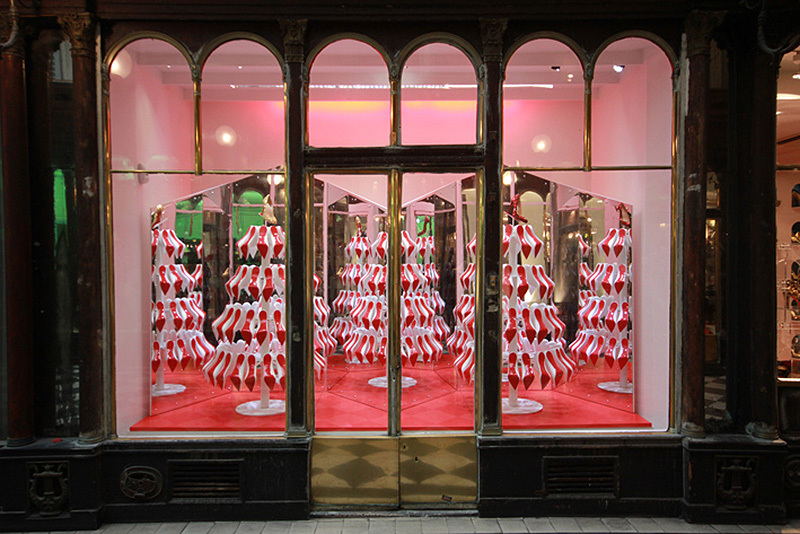 Red-Soled Christmas Trees For Christian Louboutin Boutiques. 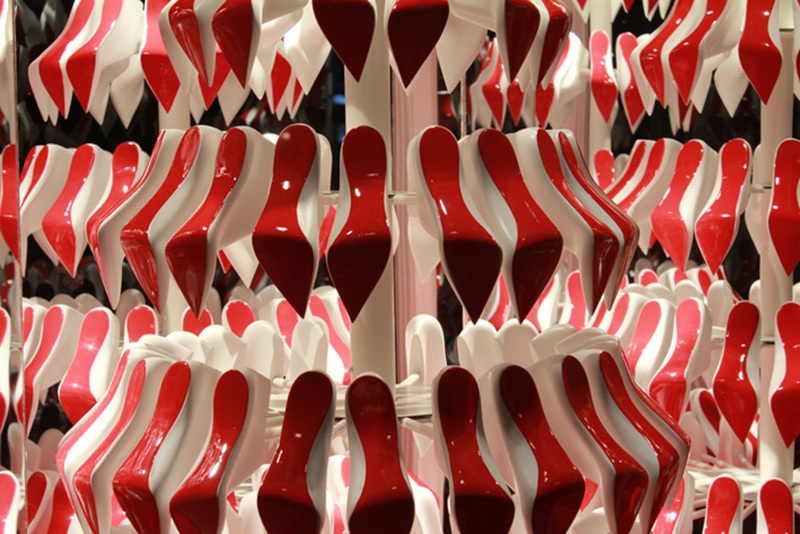 A Shoe Lovers' Holiday Fantasy. 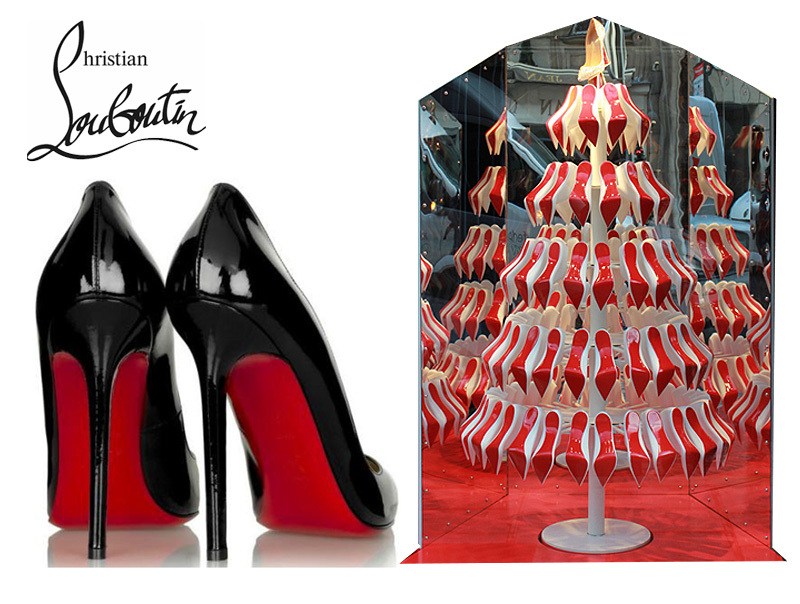 Red-Soled Christmas Trees For Christian Louboutin Boutiques. 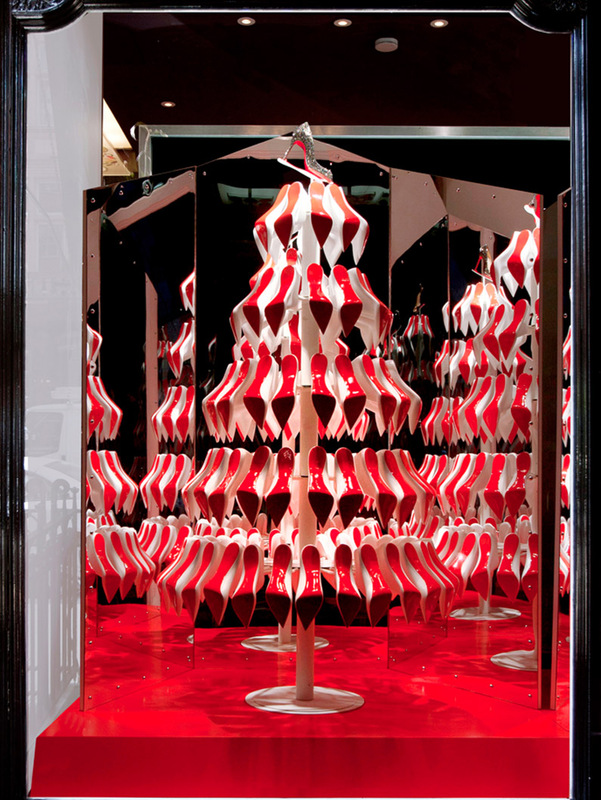 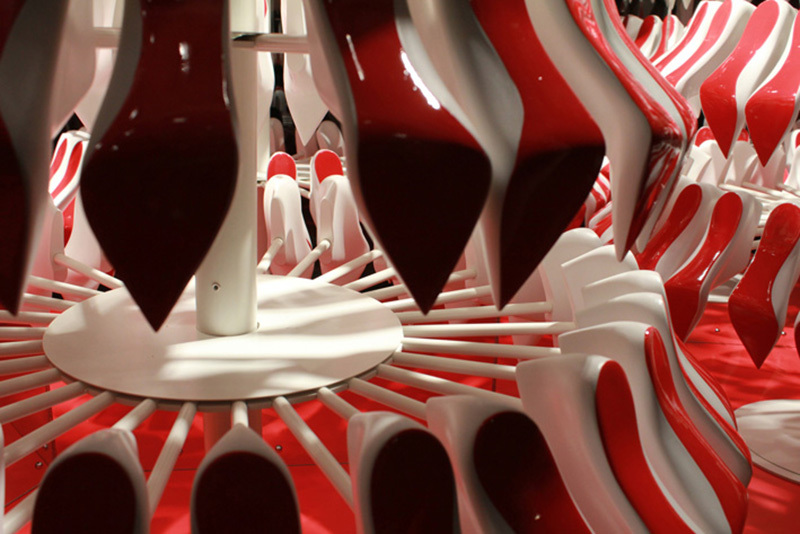 Shoe lovers and Foot Fetishists will delight in these designer Christmas Trees. 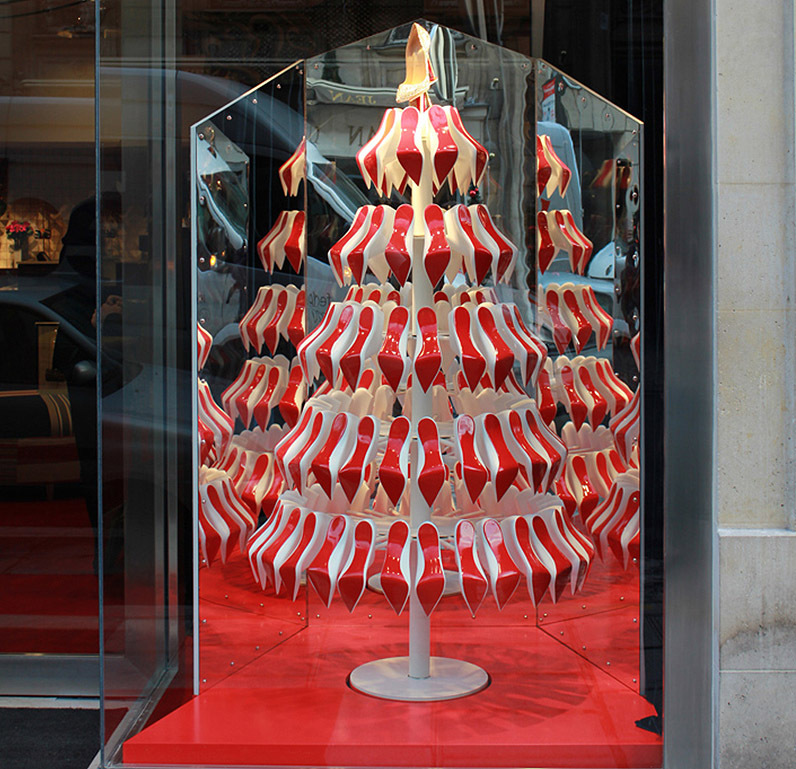 Studio XAG has created fabulous red-soled Christmas Trees inspired by Christian Louboutin's classic Pigalle spike-heeled pumps that are featured in the windows and interiors of the Christian Louboutin boutiques in Paris and Geneva. 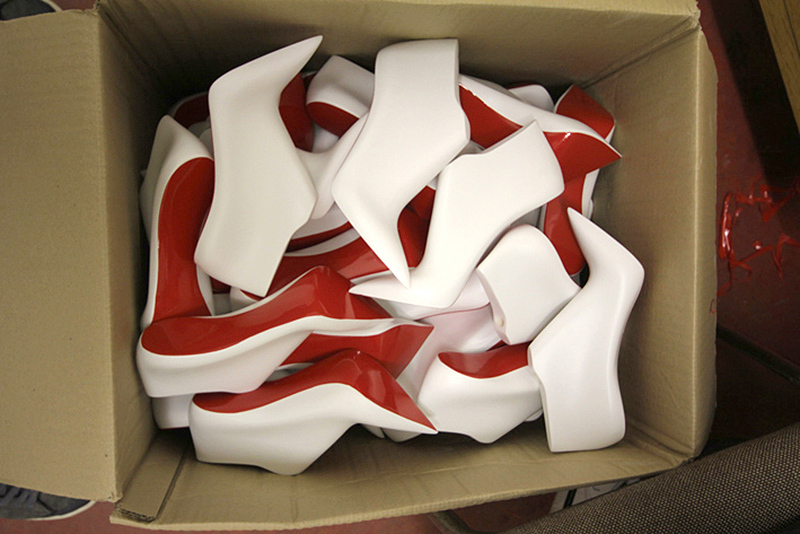 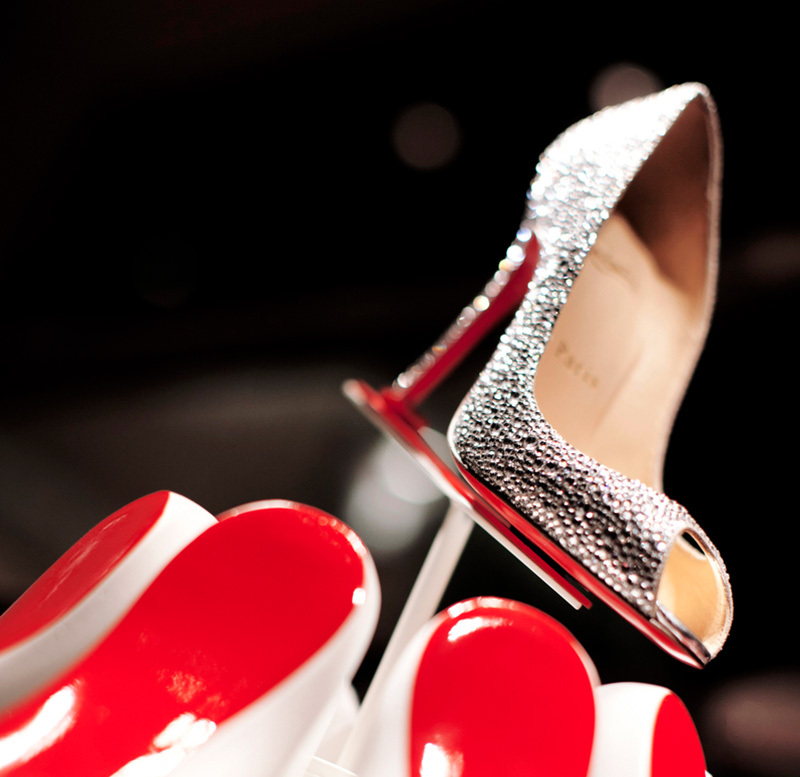 As admirers of the brand know, the red sole is an attribute of the luxury label's stunning shoes.